Incorporated in 1996, Artengine is an Ottawa-based collective of artists and technologists with strong ties to the local, national and international community of technologically-based artists. 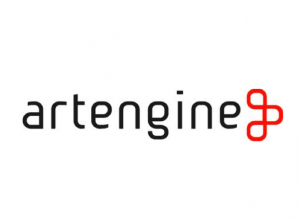 Artengine is a charitable organization that presents, promotes and enables technologically based artistic creation. Over the years, Artengine has engaged in a wide variety of programming including exhibitions, both online and in local galleries, artistic residencies, performance series, workshops, lectures, artist talks and master classes. In 2010 Artengine organized the first “Mini Maker Faire” in Canada and in 2015 they produced the first Canadian Feature Faire, joining a global network of cities including Berlin, New York, Detroit, Rome, Tokyo, Beijing, and Shenzhen. Maker Faire gathers together tech enthusiasts, crafters, educators, tinkerers, food artisans, hobbyists, engineers, science clubs, artists, students and commercial exhibitors to show their work and share their knowledge. This application is for “Maker Faire Ottawa”, an expanded festival taking place August 16 to 18, 2019 at Arts Court in Ottawa, a multi use creative arts exhibition and performance facility that is also home to a group of professional arts producers and presenters. This year the festival will be composed of four streams of programming: (1) Makers: local and visiting makers who apply to exhibit their projects, artworks, products, and inventions; (2) Craft Fair: these vendors will pay a table fee to show and sell their goods. This portion of Maker Faire will be open to the public from Saturday August 17th to Sunday August 18th; (3) Curated Spectacles: 5-8 large scale works that will be distributed throughout the event from August 16th to the 18th with a potential extension of up to four weeks for some elements. Possible programming includes: (i) Robot Resurrection (a 30 foot tall, human piloted, articulating, fire shooting sculpture made from 90% recycled materials and reclaimed airplane parts); (ii) Sub Zero Arts (a group of visualists, sound artists, technologists, fabricators and software engineers working in contemporary art and science; (iii) Waterlight Grafitti (interactive artwork is an LED wall composed of thousands of water activated LED’s); (iv) Tic Tock Tom (reimagines broken machines and discarded technology as sculptures with character, depth and feeling); (v) La Machine (street theatre troupe); (vi) Heavy Meta (a 30’ long, 19’ tall metallic dragon vehicle with interactive fire, sound, kinetic, and light components); and (vii) Bot Brawl (Ontario's only robot fighting league); (1-4 weeks at Arts Court (dates tbc); and (4) Public Talks and Special Guests: this new initiative and will be launched with a panel including several featured speakers on Friday evening, August 16th followed by a set schedule for talks on both Saturday and Sunday. Possible speakers include: (i) Anouk Wipprecht: Hi-Tech Fashion Designer and Innovator from The Netherlands; (ii) Simone Giertz: Swedish inventor, maker, robotics enthusiast, TV host, and professional YouTuber with over 1 million subscribers; (iii) Kate Hartmen: artist, technologist, and educator whose work spans the fields of physical computing, wearable electronics, and conceptual art; and (iv) Adam Savage: American special effects designer/fabricator, actor, educator, and television personality, known as the former co-host of the television series MythBusters and Unchained Reaction. Partners include: The Canada Science and Technology Museum, Carleton University, The City of Ottawa, Magmic, Shopify, Design 1st, Epilogue, Trotec, Google and Microsoft.